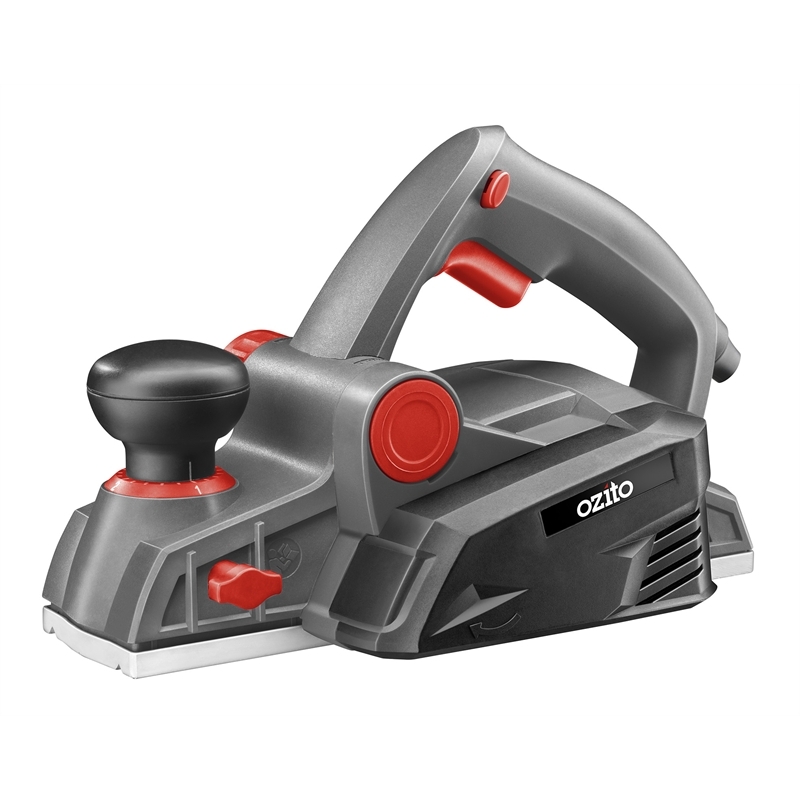 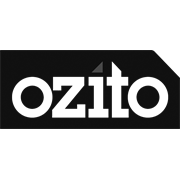 Ozito's electric planer is a must have for those undertaking a wood working project or who love working with timber. 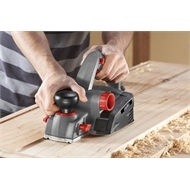 A planer is ideal for smoothing rough surfaces, straightening edges or resizing pieces of timber. 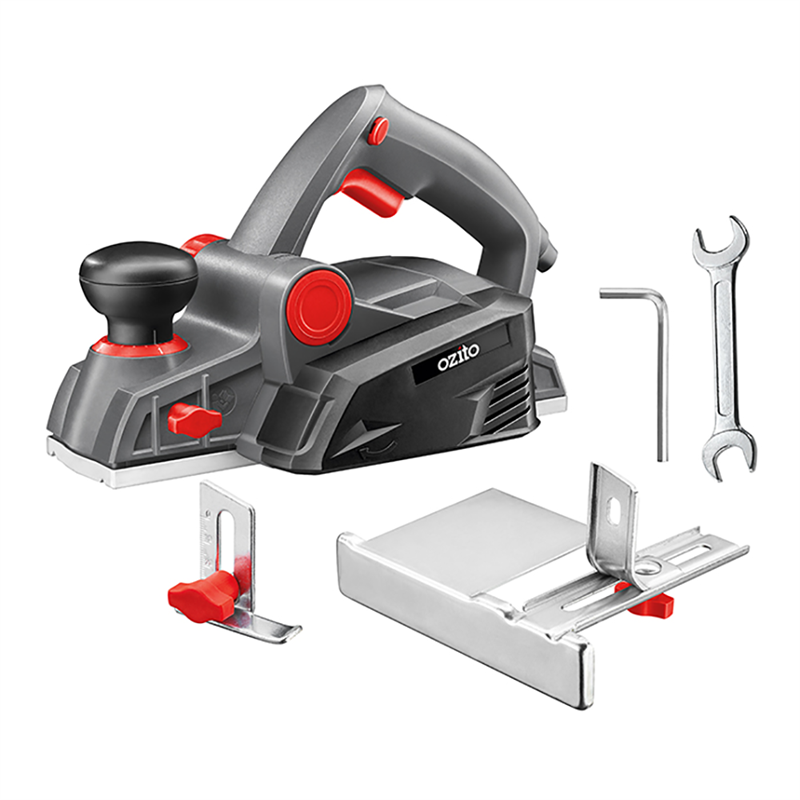 It is also ideal for fixing sticking windows and jamming doors. The 'V' shaped groove on the base plate helps you bevel and chamfer the edges of the piece you are working on. 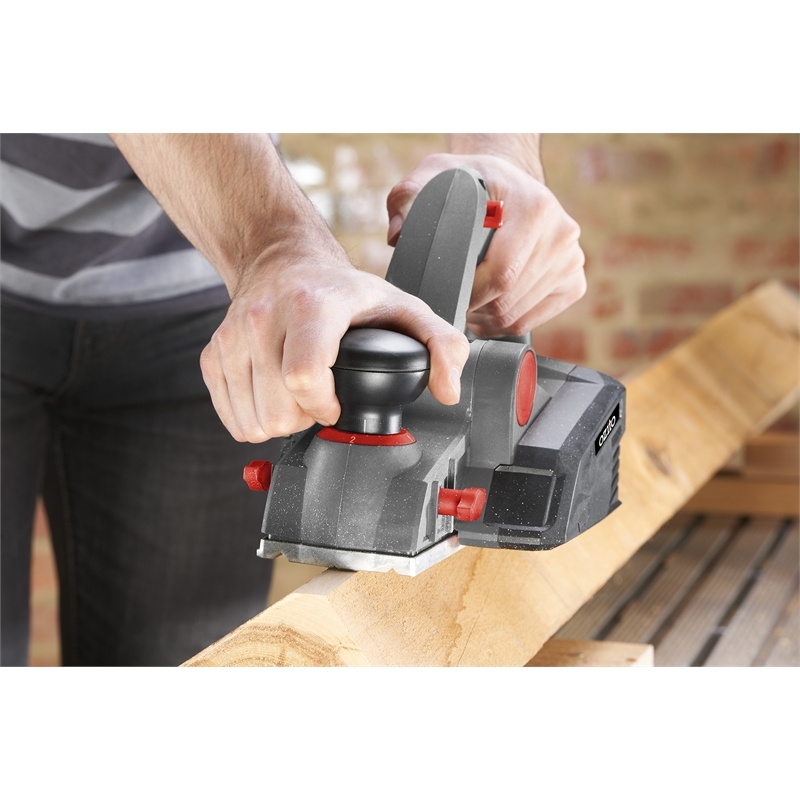 A base park shoe also helps extend the life of the blades by protecting them when the tool is placed down.